I already am?? Our Air Purifiers, Air Cleaners, Air Filters, Mist Collectors, Dust Collectors, for industrial, medical, commercial, & residential applications will improve your indoor air quality. On this site you will find hospital hepa unit air cleaners, air odor cleaners, air filtration system medical device, ion air cleaners, air purifier reviews, health effects air purifiers, asbestos abatement air cleaners, ionic air cleaners, woodworking dust collection, & more. Our Air Purifiers technical staff will work with you to seek a cost effective solution which addresses your indoor air quality concerns. We supply major product lines of Air Purifiers worldwide and are uniquely qualified to assist you. Come in and browse the site. 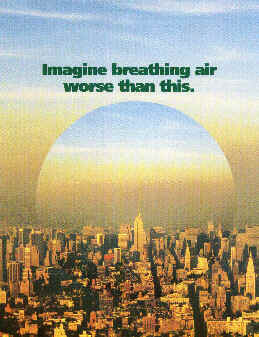 We have the indoor air cleaning equipment you need. capture water or oil based coolant and lubricant mists from machine tools. convert ordinary hospital patient rooms into isolation rooms. 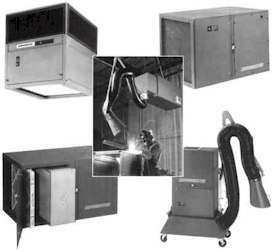 remove welding and soldering smoke and to meet OSHA guidelines in industry. remove tobacco smoke in taverns, restaurants, bingo halls, game rooms, & break rooms. remove odors and dust in hair salons, nail salons, and dental offices & laboratories. remove allergens, pet dander, pollen, mold spores, bacteria, dust, and odors at home. Control drill aerosol, microorganisms, mercury vapor, odors, and VOCs specific to dental offices and facilities. (c) Copyright 1998-2009 Berriman� Associates. All rights reserved. Berriman� is a trademark of Berriman Associates.